Chicago, Indiana resident was burned alive on 05/02/98 in Gary, Indiana at the Gotham Motel. 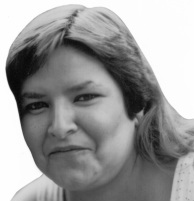 Elaine's murder case is still unsolved & originally received VERY LITTLE to NO attention. The police did an open & close case in ONE month & did not handle Elaine's case properly. Elaine's life was cut short at 37 years old. Elaine's 3 daughters, Nicole (18), Rosemary & Violet (a set of twin girls, 10) suffered the greatest unnatural loss at such young ages. Elaine's smile was contagious, her heart was golden, her love was unconditional & pure. Elaine was the type of person who would give you her last dollar or her shirt off her back. Elaine is one in a billion & I mean it, not because she is my mother or because she passed away, but because it is true. I barely come across people with a heart & soul built like her's. Please help be Elaine's voice. Your help is desperately needed to bring Elaine's murder case back into the eyes of the public & help fight for the justice Elaine deserves. The people responsible for the death of Elaine, are free & living life. They act like Elaine didn't matter & that their actions are acceptable. Please view pages "Help Us Please", "Justice For Elaine custom keychain & ink pen", & "Celebrity Autographs" to see in what other ways, you may be able & willing to help. Please donate, pray, & pass Elaine's murder story to anybody & everybody. If you do have any information regarding Elaine's murder, you may contact me in confidence, or please call ECPD @ 219-391-8329 or GPD @ 219-881-7434.